Firefly. Cricket. Vole. Peter. Can four creatures from four very different Nations help one another find their ways in a world that can feel oh-so-big? Delve into this “wise and lovely reading adventure” (Kirkus Reviews, starred review) in the tradition of Charlotte’s Web and The Rats of NIMH, from the author of the New York Times bestselling Someday. 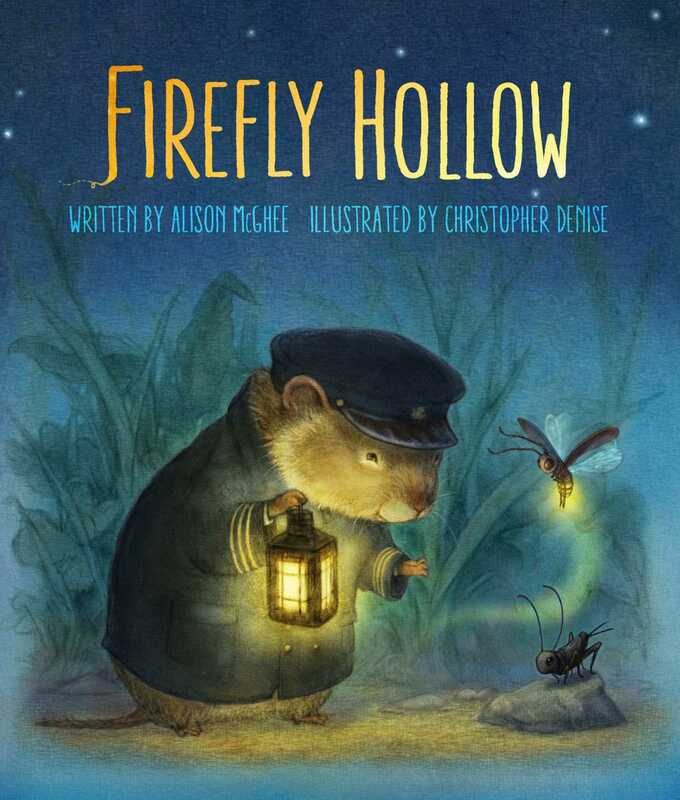 “Firefly Hollow will set your heart aglow” (ALA Booklist, starred review). Firefly Hollow is nothing short of enchanting, reminding us all that the very best friend is the one who encourages you to achieve your dreams. Full-color tip-in illustrations and dozens of black-and-white drawings provide added glow. CHAPTER ONE I COULD FLY THAT HIGH? Firefly flitted through a knothole in the hollow tree, straight out into the clearing and straight back in again. The night air outside the hollow tree was cool, and the air inside was warm. She whooshed back and forth from cool to warm, outside to inside, faster and faster and faster until—yikes—she accidentally sideswiped Elder. His tone was stern. But when no one else was looking, he blinked their secret code at her: three fast and two long. “Sorry, Elder,” said Firefly, and she blinked the secret code back. Most of the other elders viewed Firefly as slightly crazy and a clear threat to the safety and well-being of the youth of the firefly nation, but not Elder. He had been her hero since the night when she, as a one-centimeter-round baby, long before it was time to learn to fly, rolled right out of her spiderweb hammock and flung herself off the edge of her cubby. “Careful there, little one,” Elder had said, swooping underneath her just in time. And she had waved with one wing to the other baby fireflies, who were gaping from their spiderweb hammocks, as Elder piggybacked her around and around the inside of the hollow tree. He finally returned her to her cubby and tucked her in, pulling the milkweed blanket up to her chin. “Will you teach me how to fly by myself, Elder?” she had whispered. “Soon,” said Elder again, and he smiled. Before she fell asleep that night, she turned her head so that she could look out the knothole into the dark night sky. There were the moon and the stars, shining high above. “They’re so beautiful,” she whispered. And he blinked an hypnotic pattern to lull her into sleep. Elder kept his promise. Eventually she and all the others learned to fly. None of the other little fireflies flew as well as Firefly did, but at least they flew. Firefly spread her wings now and zipped back outside. She loved the feel of the wind whooshing her up into the air. Imagine if she had to plod along the creature path on her spindly legs. Imagine not being able to fly, when flying was all she had ever wanted to do! Midair flips, loop-de-loops, figure eights—all these were moves she had made up and practiced, at first in a corner of the clearing with Elder hovering nearby, ready to catch her if she fell, and then right in front of the others. The other little fireflies were too scared to try. Rules had been drummed into them in Air Safety class since they were tiny: Don’t fly beyond the clearing; don’t fly higher than the first big branch of the white pine; don’t fly in the rain. There was Air Safety class, and there was Basics of Blinking class, in which the baby fireflies learned how to signal left, right, straight, and right of way. But nothing compared to Fear of Giants class. All small fireflies were required to recite the three Fundamental Rules of Giants at the start and end of every class. 1. Giants are to be feared. 2. Giants are the enemies of the firefly nation. 3. Giants are to be avoided at all costs. But it was hard to avoid giants entirely, because three of them lived in Firefly Hollow, in a house at the bend of the river: mother giant, father giant, and the miniature giant they called Peter. That was how it was done in their world—miniature ones lived with their parents in houses separate from other giants—unlike young and elder fireflies, who all lived in the same hollow tree, sharing their cubbies and eating their snails together. The mother and father giants were dreadful creatures. When they tromped about, their enormous weight shook the very earth. Something else that all the fireflies lived in fear of was the Jar. A blue knife with a terrifying serrated edge. A spool of yellow thread, thread that could be used for any number of evil purposes. A huge red shoe, which, if tromped down on a resting firefly, would mean certain death. These were just a few of the items in the Museum of Giant Artifacts. There were sections devoted to various other terrors of the giant world, among them games. Games with names like baseball and basketball and kickball and soccer, games with balls that could roll right over a resting firefly and crush it dead then and there. But it was the Jar that was especially horrifying to the firefly nation. The Jar! It contained actual firefly corpses! Once viewed, the Jar could never be forgotten. “This is what will happen if you ever get too close to a giant,” the elders said, pointing with one wing at the dreadful object. Oh, the poor lost fireflies who had met their end inside that jar. What a hideous fate: caught in midflight by giants, giants with their long legs and their reaching arms and their glass jars with the holes punched in the lids. The Museum of Giant Artifacts filled with screams during this portion of every field trip, screams so loud that they drowned out the constant, robotic chirping from the School for Young Crickets. Despite the shrieks, the elders hovered grimly. The young ones had to learn what would happen if they got too close to a giant. Giants are the enemies of the firefly nation. All it took was one visit to the museum, and all the young fireflies accepted the wisdom of the elders: Stay far, far away from the giants. The truth of it was, giants fascinated her. Unbeknownst to anyone but Elder, she sometimes snuck out of the clearing to spy on the miniature giant, the one called Peter. At first she spied on him playing catch with another miniature giant. The other miniature giant was gone now, but Firefly still spied on Peter from afar, as he sat on the sand or perched in the branches of a white birch by the water. Was he really that terrifying? Secretly, Firefly thought that there was a lot to admire about giants. They were the ones who had invented spaceships that flew them to outer space—poor wingless creatures that they were—and Firefly loved outer space. Sometimes, when she was out practicing her aerial maneuvers, she turned on her back and stared up. The vast darkness held the moon and the stars. When she was tiny, Elder used to sneak her outside after bedtime, so that they could look up at the night sky together. There were thousands of them, tiny pinpoints of light, shimmering down on the two of them as they hovered on their backs in the clearing. They didn’t look that far away to Firefly. Firefly sighed. She lay on her back for a while, fluttering her wings just enough to stay aloft. She had a question for Elder, a question that she was scared to ask. Gradually, she worked up her courage. “You what?” he prompted her. There. She had said it. She wanted to know what it was like beyond Firefly Hollow, something that went against every rule of the firefly nation. “Are you that little firefly?” Elder said. She looked around to make sure that they were the only ones out, then nodded. Argh! That was Elder’s answer to everything. Elder just smiled and shook his head. He blinked their secret code—three fast, two long—a code that could mean any number of things, such as Are you hungry? Or Do you want to sneak out and practice aerial maneuvers? Or Want to come look at the stars with me? but in this case meant I know you want to go right now, but you have to be patient. Firefly turned over on her stomach and tried to ignore him. Elder kept on blinking, though, and eventually she blinked back. But when she returned to her spiderweb hammock, Firefly thought about it some more. If someday she was really going to fly beyond Firefly Hollow, then she would need to build up her strength. That was something she could work on right now, wasn’t it? So she practiced her aerial maneuvers over and over, over and over, hoping that one day they would come in handy. And she timed herself for nonstop flying. Her best time so far was three hours, twelve minutes, and seven seconds. Without one single break. Her friends were gathered by the lowest branch of the white pine that stood in the center of the clearing, waiting for her. Firefly spread her wings, did one of her famous loop-de-loops, and landed in their midst. Around and around the white pine they flew, sparkling and blinking. The moon hung round and yellow, and the night sky shimmered with light from the stars. “Imagine flying up that high,” said Firefly, pointing with one wing. “Are you kidding?” said one. “No, thank you,” said another. “I’ll stay right here in the clearing,” said a third. Cricket and Firefly are different from all the other crickets and fireflies—they have dreams for their lives. Because of this, they’re both seen as strange to the others in the hollow, and they are teased mercilessly, and all because they aren’t just like everybody else. When the two loners run away to meet the miniature giant who lives by the river, they commence on an adventure that may just lead to the fulfillment of their dreams. Young Peter, the miniature giant, can see and hear them, and he teaches them new lessons about life. Cricket and Firefly, with the help of a river vole who is also seeking a dream, ultimately learn that when you follow your dreams, no matter how crazy they might seem to others, life is full of unexpected possibilities. 1. How does Firefly and Elder’s relationship begin? Why does Elder continue to protect and educate Firefly? 2. Why are Firefly’s and Cricket’s classmates so impatient with them? Why do they sometimes say mean things to them? How do their teachers respond both to Firefly and Cricket and the other students? 3. How does Gloria’s accident affect Cricket? How does Cricket use her accident to help him persuade others to think like him? 4. Why is Vole the only river vole left on the river? What is Vole’s dream? How does he work to achieve it? 5. How does Cricket’s song bring him and Firefly together? What do they do the first night they meet? 6. What warning have the elders given Cricket and Firefly in regards to the giants? Why do Cricket and Firefly ignore the elders’ warnings? 7. What does Peter do and say when he steps out of his house and meets Cricket and Firefly? 8. Why are Cricket, Firefly, and Vole so surprised when they meet? What do they learn about each other? 9. Why does Vole watch Cricket, Firefly, and Peter? What are Vole’s observations and conclusions about the meeting? 10. Why does Vole catch the milk jug and place it on the rock where Peter will find it? 11. Why does Firefly practice her flying maneuvers every day? Why does she practice the parachute formation alone, away from all of the other fireflies? 12. What prompts Cricket to run away from his home and from the other crickets? What is his plan? 13. Why does Firefly decide to leave Firefly Hollow? What secret does she tell that gets her in trouble? Why can’t Elder come to her rescue? 14. Why do Peter’s mother and father think Firefly and Cricket are imaginary? How do Cricket and Firefly react? 15. How do Firefly and Cricket meet Vole? What do Cricket and Firefly decide to do that night? 16. Why doesn’t Peter want to return to school? What is his plan to avoid going? How do Peter’s parents react to the news that he is not going to school? 17. How does Peter teach Cricket to catch? What is the first thing Cricket catches? 18. What does Peter learn about the afterlife from Cricket and Firefly? What happens to a cricket when it dies? What happens to a firefly? 19. What do Firefly and Cricket miss about their homes? As summer ends, what are Firefly’s and Cricket’s plans for the fall and winter? 20. How does Peter react to a new family moving in on his street? Who might have lived in the house before the new family? 21. When Firefly sneaks away from Cricket to return to Firefly Hollow, what does she overhear the other fireflies talking about? How does Firefly react? 22. Why do the crickets and fireflies leave their homes to talk to Vole? What do they learn about Cricket and Firefly? 23. What does Firefly see when she attempts to fly to the moon? How does it affect her flight? 24. How do Peter and Cricket help save Firefly? What happens when the raft sinks? 25. When Peter returns to school, what happens to his relationships with Firefly and Cricket? 26. What does Vole tell Cricket and Firefly about who his boy was? How do Cricket and Firefly react to that knowledge? 27. Why does Vole want to return the paper boat to his boy? Why doesn’t he need it anymore? 28. Why do Cricket and Firefly decide to leave with Vole? How do they say goodbye to Peter? Cricket, Firefly, Vole, and Peter all have a dream. Select one of the characters and write down the selected character’s dream and how the character plans to achieve it. 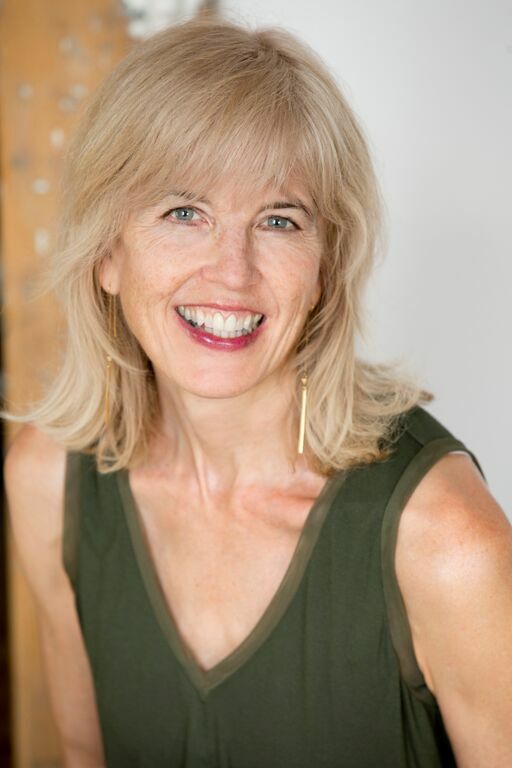 Then write a narrative poem that tells the story of how that character achieves the dream. Have students read their poems to others in groups of four to six. Post the finished poems in the classroom. In the book, Vole explains to Cricket and Firefly what a kindred spirit is. Working in small discussion groups, have students use Vole’s explanation as a starting point to discuss why Firefly, Cricket, Vole, and Peter could be considered kindred spirits and to locate textual support from the book. After all groups have had the opportunity to discuss the kindred spirits, have each group share their insights with the whole class. Select a scene in the book that would make a good skit. Have students work in groups of four to write a script with original dialogue and to practice the skit before performing it for the class. Have students investigate the characteristics of crickets, fireflies, and/or voles. Working in small groups, have students explain to the others in their group what a typical day and then a year would be like in the life of a cricket, firefly, or vole. Based on what is shared, each group should synthesize their information and write and illustrate a nonfiction children’s book on the wonders of crickets, fireflies, and voles. Display the children’s book in the school library. To Cricket, Firefly, and Vole, adult humans are giants and children are miniature giants. Ask students to identify what they would consider giants and miniature giants in our human world. After making a list, ask students to illustrate these different giants and write a brief explanation of their conclusions. Vole had experience with Peter’s father when he was a miniature giant. In small groups, ask students to write a list of ten “Tips for Dealing with Miniature Giants” for Firefly and Cricket. Perhaps one of the reasons Peter could communicate with Firefly and Cricket is because he had lost the only friend he had and did not want to make any new ones. Ask students to write about their best friend and their relationship, including how they met and why they are best friends. Students can share their writing with the class or in small groups. Guide written in 2015 by Susan Geye, Library Coordinator, Everman ISD, Everman, TX.